Buried within the walls of the Kremlin, amidst the political and military heroes are some of the bravest explorers of our time. These supremely talented cosmonauts helped usher in the era of human spaceflight. They willingly went into the dangerous, unknown of space in newly fabricated hunks of metal, perched atop converted missiles, all in the name of nation and exploration. This is the story of perhaps the bravest of them all, Soviet cosmonaut Vladimir Komarov. 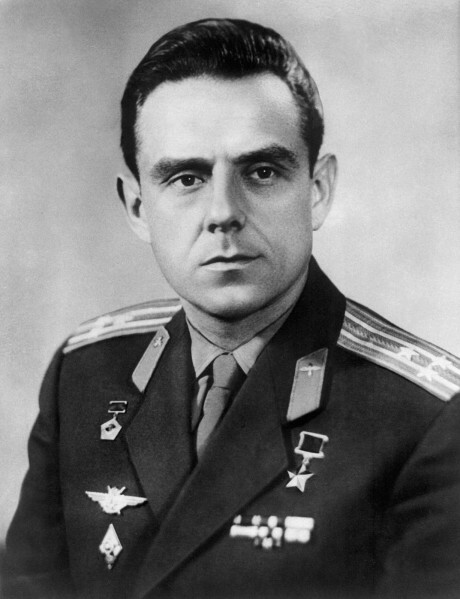 An official portrait of cosmonaut Vladimir Komarov. – Credits: Roscosmos. During the space race and even for a long time after, the USSR was very much less forthcoming than its American counterpart on the details of space activities and personnel. Within the Soviet Union, production and dissemination of news was strictly controlled by state-run machinery. For the West, it was difficult to delineate fact from propaganda. This encouraged and sometimes even gave credence to what were essentially rumors and speculations. Many well-known anecdotes and facts of space history, even quoted in books, have later proved to be false. Even today, decades after the end of the Cold war, there are inconsistencies and controversies in the story of the early Soviet space program. This article will try to reconstruct a veritable account of the Soyuz 1 accident. One of few images of the Soyuz 1 crash site ever to be released in the post-Soviet era. Somewhere in the midst of this burning mass of twisted metal lay the remains of the first man to die during a space mission. Credits: Roscosmos. On April 23th, 1967, the USSR was on the verge of upstaging the Americans as it launched its new Soyuz spacecraft, designed to eventually ferry cosmonauts to the moon. The US space program had just suffered its most serious setback in the form of the Apollo-1 fire and the Russians seemed to be well ahead in the race. Cosmonaut Vladimir Komarov had been selected to fly the first Soyuz-1 mission, an honor that every cosmonaut would have wished for. But everyone involved in the project knew that the Soyuz was an immature spacecraft, with more than 200 engineering issues to be solved, and this fact put Komarov in an unenviable position. The mission began with much drama. On April 23, 1967, a few hours before the launch of Vladimir Komarov on Soyuz-1, Soviet journalist Yaroslav Golovanov reportedly saw Yuri Gagarin, first man in space and backup pilot for this mission, exhibit a “sudden caprice”. Apparently, Gagarin had demanded to be put into a spacesuit even though Komarov was fit to fly. This was highly irregular for any space mission, let alone one as significant as Soyuz-1. Some historians have interpreted Gagarin’s antics as an effort to save Komarov while others, such as Asif Siddiqi, counteract this fact and believe journalist Golovanov never wrote this. Clearly something had happened to ignite such a rumor. Even by the standards of early flights, this was not a nominal pre-launch. The spacecraft was launched successfully at 03:35am Moscow time and attained its destined orbit. The problems, however, began immediately. When Soyuz-1 was out of communication range with ground controllers, telemetry indicated that the left solar panel did not deploy, thereby cutting power supply in half. Worse, the undeployed panel was obstructing the Sun, interfering with star sensors required for attitude control. Attitude control is absolutely essential to stabilize the craft as well as to fire the engines in an accurate manner. In addition, the one-panel configuration itself was causing attitude control problems with its asymmetry. Komarov tried to correct these issues, even knocking on the side of the spacecraft with his feet, but the solar panel did not budge. He was advised to keep working on stabilization using propellant. But soon, it became clear that these efforts were simply wasting fuel. As the Soyuz struggled to charge with one solar panel, its batteries were also running out. The mission would not last very long on low power, so officials on the ground finally made the decision to bring Soyuz home. Unbeknownst to the Western observer, the flight of Soyuz-1 was about to be followed by that of Soyuz-2. The two spacecraft were to rendezvous, dock, and execute complex EVA procedures in space. The decision to land Soyuz-1 had therefore caused the cancellation of Soyuz-2. Ground engineers chose the 17th orbit to land Soyuz-1, with 18th and 19th orbits as backups. In order to land, a spacecraft has to reenter the atmosphere with the right orientation. A low entry angle would cause it to skim off the top of the atmosphere, while a steep angle would cause it to burn up. Hence, it needs to have the right attitude or orientation before the retrofire engines are used. For Soyuz-1, this presented a big challenge. The Soyuz had three orientation systems – the astro-inertial system, rendered useless by the solar panel blocking it, the unreliable ion system that Komarov had unsuccessfully tried to use for correction, and a manual system. The third option could be used only on the daytime side of the orbit while the 17th orbit reentry would be from the night side of the planet. If orientation using the ion system failed, a manual orientation attempt could be made during the 19th orbit, which would fall on the dayside. By then, the Soyuz would be drawing power from the backup battery, so it was imperative to get it right on the 17th orbit. Unfortunately, things continued to go wrong for Komarov and the Russians. During the reentry burn, the faulty attitude control system allowed the vehicle to deviate too far from its destined path, causing the automatic system to halt retrofire. Komarov was given new instructions to manually orient Soyuz-1 for reentry on the 19th orbit. The fate of the entire mission boiled down to this single maneuver. The pilot performed his assigned tasks and initiated the retrofire engines. But the unusual, asymmetric shape of the vehicle caused it to drift during the reentry burn. The automatic system detected this variation from the desired flight path and shutdown the engines before completion of the burn. Although it was far from perfect, the engines had fired sufficiently for Soyuz to reenter the atmosphere. As planned, the orbital and instrument modules separated from the shielded descent module that hosted the cosmonaut. As the vehicle tumbled through the atmosphere, its brake and drogue chutes deployed. However, the drogue chute failed to pull out the main parachute from its container. The reserve chute, which was deployed as a backup, got entangled with the drogue chute, effectively turning the vehicle into an unstoppable projectile. Instead of floating under a parachute, the capsule hit the ground at a tremendous speed. The impact flattened the two-meter tall descent module to an astonishing 70cm, causing the solid fuel rockets at the base of the Soyuz to explode. The explosion destroyed anything that had survived the impact, leaving only molten wreckage. 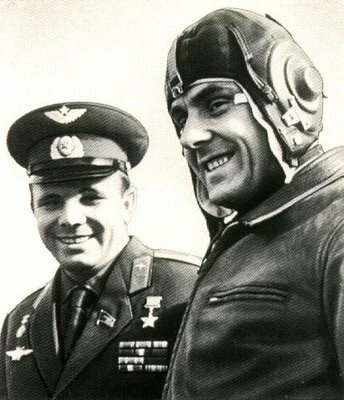 Vladimir Komarov (right) knew that he had to fly Soyuz 1…because his backup was the first man in space, Yuri Gagarin (left), a national hero, who had to be protected. Ironically, both men would die within a year of each other. Credits: Roscosmos. Gruesome eyewitness accounts narrated that Komarov had been reduced to a lump, 30 cm wide and 80 cm long. A heel bone was the only recognizable part retrieved from the site. Post-crash investigations, conducted with an excess of zeal, revealed the cause of death to be severe injuries to the skull, spinal cord and bones. According to an unverifiable source quoted in the book “Escaping the Bonds of Earth – The Fifties and the Sixties”, Komarov had confessed to KGB agent Venyamin Russayev that he was afraid of the impending Soyuz-1 flight. Apparently, he was aware of his slim chance of survival even before the flight. Yet he felt he had to make the flight or the backup pilot, Yuri Gagarin, would be sent instead. Komarov had sacrificed himself to protect Gagarin, a national asset. It is impossible to overstate his bravery. Despite rumors, later on disproved, he never cursed and shouted in rage at the ground engineers for sending him to space in a highly experimental vehicle. Rather, he remained focused on the mission, following instructions and procedures until the very end. – a reconstruction of the parachute failure that doomed Vladimir Komarov and Soyuz 1. The creation of the Soyuz, like everything else during the space race, boiled down to political pressures and ambitions. The Russians had won the race to put the first man in space. But the Americans were catching up fast. Their Gemini program could take two astronauts into space at once. So, to upstage the Americans, USSR decided to put three men in space at once with the somewhat improvised Voskhod program. The Vokshod spacecraft was a modification of the one-man Vostok. Three cosmonauts were fit in the same space previously available for one, without spacesuits or an ejection system. The Vokshod, which had two successful flights, had always been meant to serve as a provisional vehicle until the next one – the Soyuz – was ready for flight. The Soyuz, the Russian equivalent of Apollo, had been in development for a long time. It was a complex piece of equipment with capabilities such as long duration flights, rendezvous, and docking, and had suffered numerous delays. Vasily Mishin, the Chief Designer who took over Sergei Korolev, believed the attention on multiple projects to be the cause of delays, so he favored the Soyuz project and discontinued Vokshod flights. This briefly led to the lack of any space vehicles in Russia and thus, cessation of all human space flights. Almost two years passed without a single Russian human space flight, and the Soyuz was still affected by hundreds of design problems. Unfortunately, there was little time to solve them: the impending 50th anniversary of the Bolshevik revolution in May 1967 increased pressure on the Soyuz program to conduct a flight. The administration wanted a successful flight at any cost. Although the unmanned Soyuz tests, codenamed Cosmos 133 and 140, had not been entirely successful, Cosmos 140’s crash landing through the Aral sea ice was deemed sufficient proof to proceed with a manned flight. Preparations were initiated for the flight of Soyuz-1. In order to make headline news around the world, Russia adopted a bold mission plan. In addition to Soyuz-1, a second Soyuz would be launched into orbit the next day, carrying three cosmonauts – Alexei Yeliseyev, Yevgeni Khrunov and Valeri Bykovsky. The two spacecraft would then perform the first ever docking in orbit. Two of the cosmonauts, Alexei and Yevgeni, would space walk from Soyuz-2 to Soyuz-1, and return to Earth with Komarov. Later on, Valeri Bykovsky would return alone inside Soyuz-2. Coming on the heels of the Apollo-1 tragedy, this audacious mission could quite possibly have given the Soviets an unassailable lead in the race. Sadly, the mission intended to push the Russian space program to a whole new level, pulled it down into defeat. The Soyuz program was not just plagued by development issues but also personality conflicts between the two main leaders in the space program: Vasily Mishin, the chief designer, and General Nikolai Petrovich Kamanin, head of cosmonaut corps. The two often held opposite points of view. Mishin, for example, supported engineer civilian cosmonauts while Kamanin stood behind his military pilot cosmonauts. Mishin preferred automatic docking systems, while Kamanin wanted to use manual docking. This rivalry slowed down important decisions, something that clearly did not help the program. And while major technical decision were constantly discussed and delayed, decisions such as the date of Soyuz-1 flight were rigid and unalterable. Mere days before launch, Gagarin and a group of cosmonauts prepared a 10-page document addressed to party leaders, detailing the 200+ design problems with the Soyuz. In “Escaping the Bonds of Earth – The Fifties and the Sixties”, Russayev is quoted as having passed this document to senior administrators. But the document disappeared and never reached the intended recipients. All officers who had passed on this letter or were involved in any way got demoted, transferred or fired. The fate of the Soyuz seemed writ in stone. A short Russian documentary about the ill-fated Soyuz 1 mission. 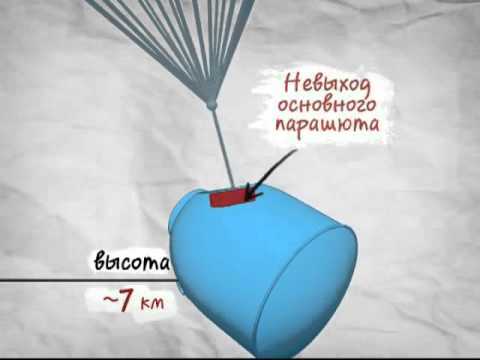 The accident investigation team found two major faults with the parachute system in the Soyuz. The first one was a deformed canopy that did not allow the main parachute to deploy properly. The second fault was that the drogue chute, which had been calculated to require a force of 1500kg to pull out the main parachute, but actually needed 2800kg of force. Surprisingly, the reserve and drogue chutes were never even tested together. Asif Siddiqui further explains that wrongly performed testing procedures used on Soyuz-1 and Soyuz-2 roughened the surface of the parachute container, hampering deployment. As with other space disasters, this one too had organizational and administrative reasons. Cosmonauts Alexei Leonov and Yuri Gagarin wanted to quote in the accident report chief designer Mishin’s poor knowledge of Soyuz and lack of cooperation with the cosmonauts. This was the feeling of most cosmonauts, not a personal vendetta of these two men. This episode marked the alienation of the program leaders from the situation on the ground. The investigation also revealed that Soyuz-2, if launched, would have experienced the same trouble with the parachutes. The undeployed solar panel and attitude control issues on the Soyuz-1, which were responsible for cancellation of Soyuz-2 and not directly related to the cause of accident, had in fact saved the lives of the Soyuz-2 crew. Even in death, Komarov had managed to save lives. Russia’s first public disaster of the space race left an indelible mark on the program. A year and a half was spent on resolving all the design issues on the vehicle. It wasn’t until October 1968 that the Soyuz made a return with cosmonaut Georgi Beregovo at the helm. His Soyuz-3 rendezvoused successfully with an unmanned Soyuz-2. But the planned docking between the two crafts did not take place, another mishap that Soviet propaganda managed to conceal. Subsequent efforts taken to improve the Soyuz have made it the longest serving and most reliable human transport vehicle for space. Although the journey was not without new hurdles: on June 30, 1971, the crew of Soyuz 11 was found dead inside their capsule following a decompression accident upon reentry.